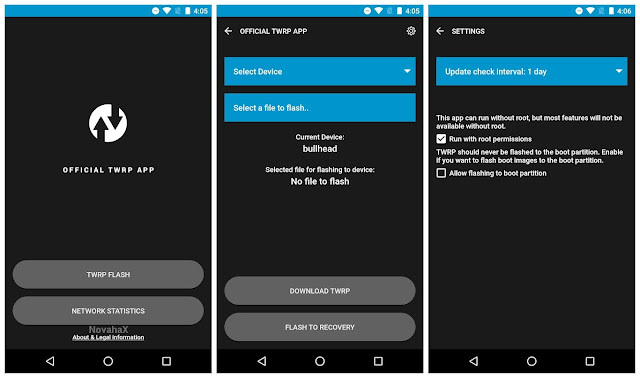 This is Official Official TWRP App premium developed by Team Win Recovery Project. Use the app to alert you when new TWRP versions are released for your device. When a new version is available, download it using the app and install it (root users only) without rebooting to recovery. The app is pretty simple to use thanks to its clean interface but it's not recommended to 'play around' with it if you're not exactly sure what you're doing , since you could seriously harm your device. At any rate, the app tells you this itself the first time you open it. 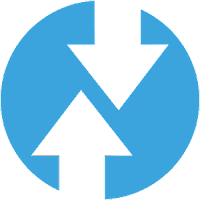 The Official App does not require root to perform version checking, however, additional features are available such as image flashing if you grant root permissions. Currently the app is only able to flash images from internal storage. We will add the ability to use additional storage locations very soon!